Win a $500 Gift Certificate from Rendezvous Mountain Rentals! This summer, find your wild in Wyoming with something special from Rendezvous Mountain Rentals! 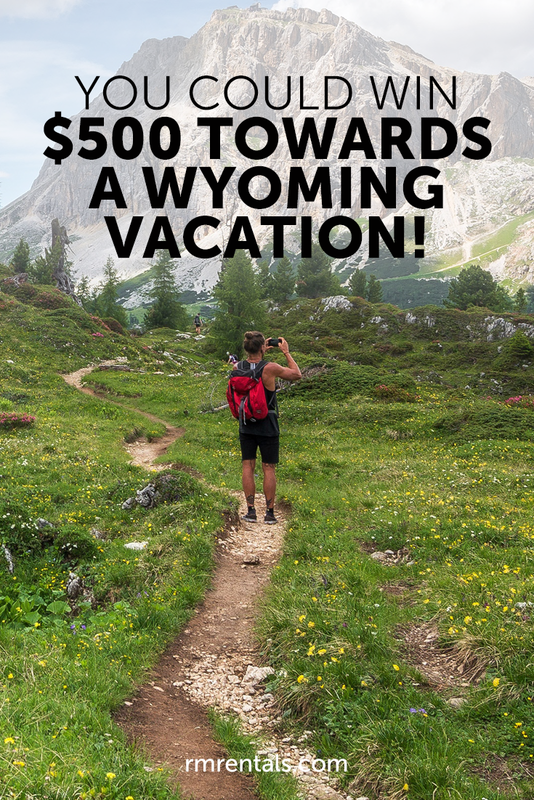 Tag your Wyoming photos with the hashtag #RMRlifeJH and be entered to win a $500 gift certifcate towards a stay with us! HOW TO ENTER - Post your Wyoming photos to Instagram with the hashtag #RMRlifeJH, and tag us at @rmrentals to be entered. DATES - Post anywhere between February 1st and September 30th to enter. PRIZES - First place winners will get a $500 gift certificate to be used towards your stay with Rendezvous Mountain Rentals. ADDITIONAL PRIZES - Get creative! We will also be giving away free adventure tickets and local dining certificates. Winners will be annouced throughout the summer. We can't wait to see your Wyoming adventures come to life. Hashtag and tag us to enter today!